Customers are quite important. Oh, no they’re not. They’re very important. If you didn’t have a customer, you wouldn’t have to have a business. A lot of people think their business is the most important part or that they are the most important part or that production is the most important part, but no. Your customers are the most important part, because if you don’t have a single customer, you don’t need a business. There’s no money. No one will be paid. It’s the customer’s money that pays your salary and keeps the mortgage up to date, puts a roof over your head, keeps the mortgages up to date of all of your staff and work colleagues. Customers are rather important. Now, some customers are better than others. The ones that are the best are the ones who buy more often that are easy to deal with, that pay their bills on time and that spend the most money. Of course, there are all sorts of customers, and there are some that just buy once, and can be a bit of a pain. We still need them as well, and of course, it may not be their problem that they’re a bit of pain. It might be your customer service. Either way, you need to know who your best customers are, so that’s the first thing. Say that you’re like me, you have an online business and you have lots of comments, or you’ve got a shop and you’ve got lots and lots of customers. Do you know who your top fifty customers are? Do you know who your top ten are? Your top twenty? If you are something like a consultant, maybe you’ve got ten clients, do you know who your top two are? Of course, this is not like saying who’s your favorite child. Some customers are better for your business. That’s what I would describe as a top customer. Someone who is better for your business. You need to spend more effort looking after those. What do you do? 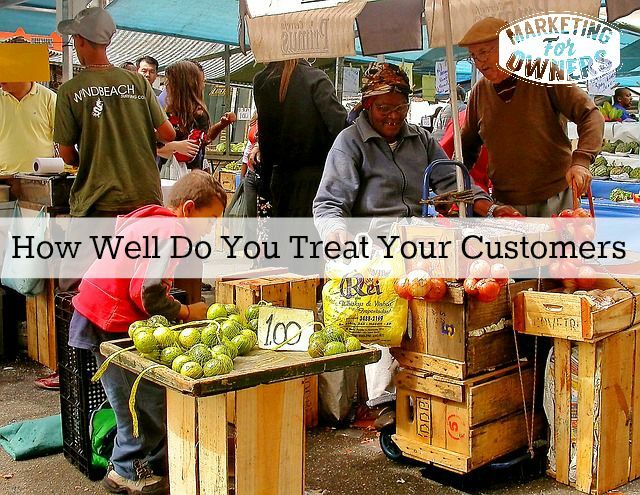 Have you ever spoken to your best customer? Does anybody? If you’re in an online business like mine, my fire protection online. Customers come to us. They buy stuff, but we have customers who buy every week. Have we ever acknowledged how important their business and they, as an individual are to us and how we appreciate that? Are you scared of phoning that person in case they might not be happy? Are you scared of contacting them in case they’ve got a complaint? If that is so, that’s self-doubt. That’s listening to the self-talk in your head. That is going to be a silly way to think about it because, as we’ve just pointed out, this is your best customer. They choose of their own volition to come back to your business time after time after time. You haven’t spoken to them, so they’ve not been forced. They want to do business with you. Reasons for keeping in touch, and reasons for saying “Thank-you” are of course, to reinforce that relationship and make them stay for longer but also, you can ask them questions. They deal with your company more than anyone else. They are in a better position to teach you how you can improve your business. They’re also in a better position to tell you why they prefer to buy from you over and over, so if they tell you what’s important to them, what makes you fantastic, you can use that in your advertising, and go and tell everyone else why you are fantastic. They’re going to say, “Really? Free Clients. Yeah.” And then they think you’re even more fantastic. How about popping in with a box of chocolates or a big tin of Quality Street or Celebrations which we have in the UK or at Christmas? Of course, if she’s there, and she’s got time, she’ll have a chat and a cup of coffee, and you say, “I just wanted to come in and say, Thank-you for being a great customer.” It’s as simple as that. Can you see how this is going to work to build a relationship with a customer. We keep in touch with them via automated means, by email and so on, but our top customers, and by the way, they change all the time, so we keep an eye on that. The top customers we treat extremely well to keep them as our top customers. They become even better. Roughly 30% of our customers will buy more than once, however, those 30% contribute more in sales than the other 70%, so yeah. We’re going to treat those customers very well. I suggest you do the same. It’s Monday. It is time for a book for the week. This is going to be a fun read. You’ve all heard of Richard Branson? Have you read his autobiography? It’s great. 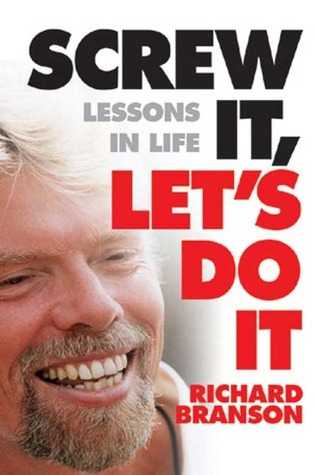 Well, he has read a few books, but his book that I’m recommending today is Screw it Let’s do it. The Virgin brand is just fabulous, so you can learn something from him. Screw it Let’s Do It is where he explains his theories, what he’s learned, what he knows to try to teach people like us what he knows. It’s a very, very good read. If you don’t learn something from that book, call me, and I’ll give you money back for the book. It’s brilliant. Read it. Please! If you want to get that book for free, go to MarketingforOwners.com/freebook and then you’ll find out how you can get that book for free, on me, sent, brand new, wherever you are in the world. Go check it out and then come back tomorrow.